It takes me most of the day to decorate the tree. 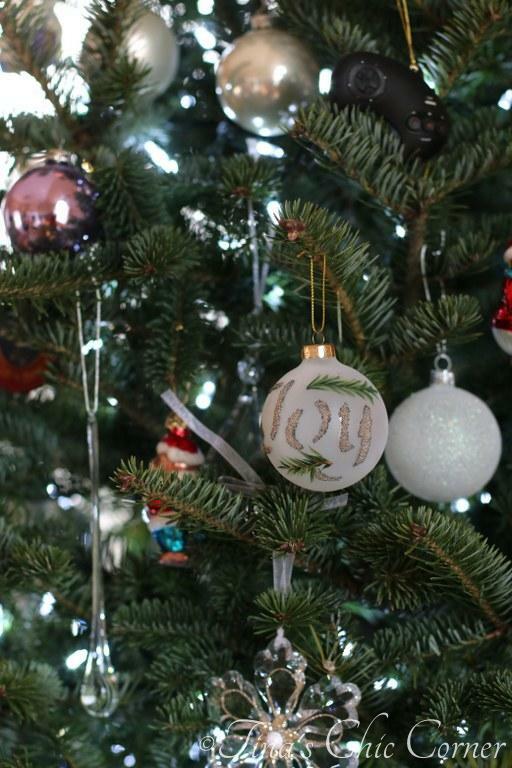 Every ornament has its spot. I’m kinda finicky that way. Which now that I think of it, may be why my husband doesn’t want to help. 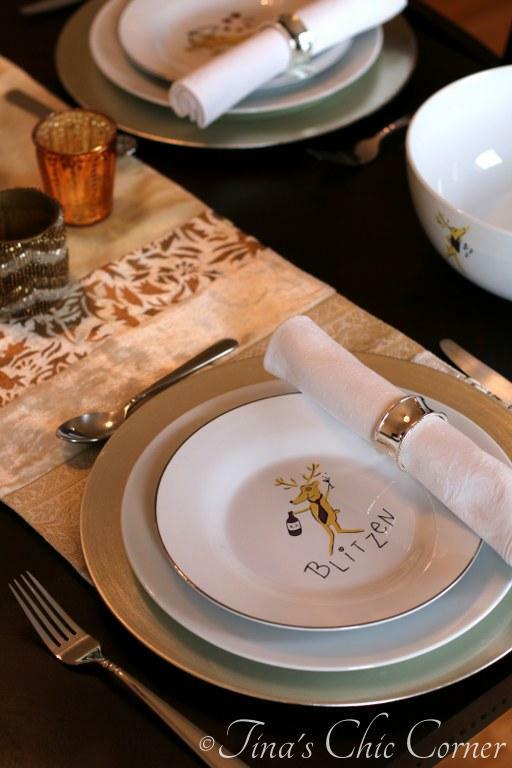 Aren’t my reindeer plates so much fun?! 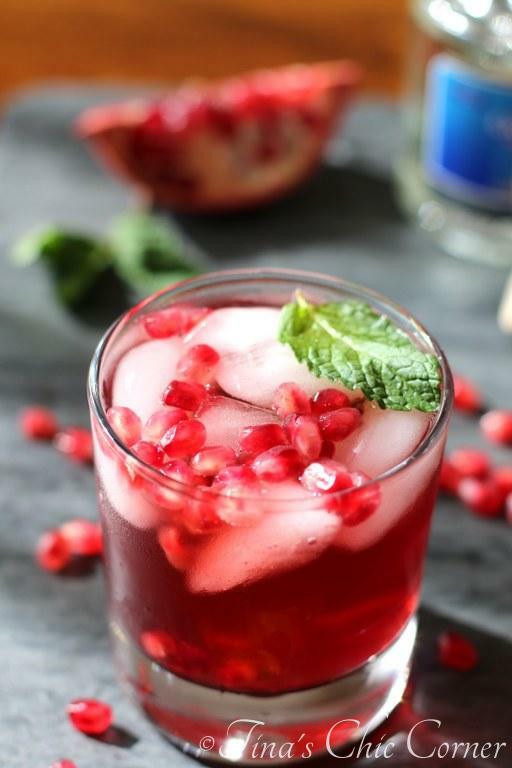 Coordinating fancy red cocktails are a must, like this Pomegranate Mojito. 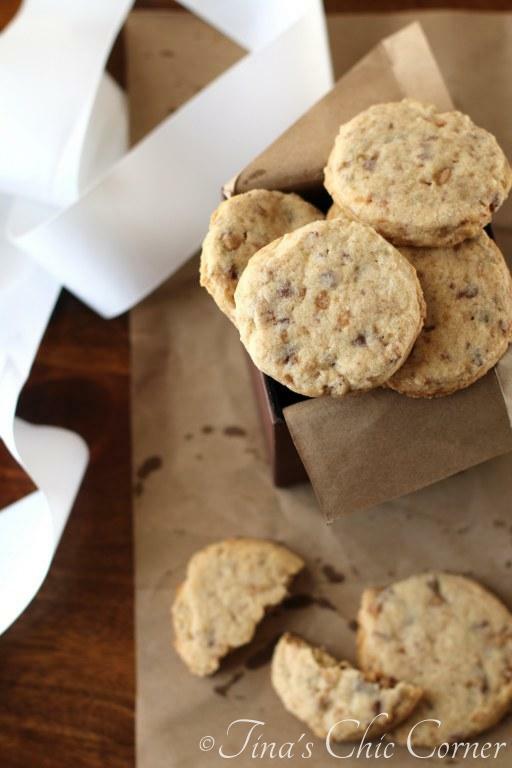 I always give out cookies to friends and family… a lot of cookies. These pretties made it into everyone’s baskets. I carried the red and white theme into the kitchen. 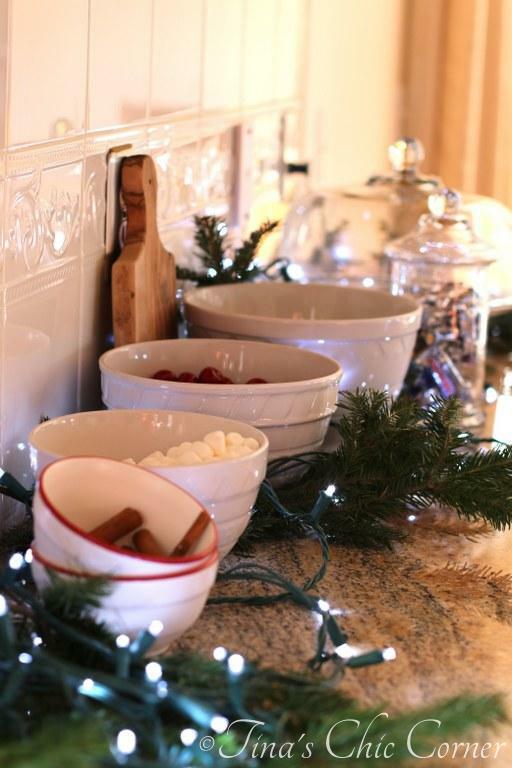 I love using food as decor items in the kitchen, like cinnamon sticks, marshmallows, cherries and candy. I even ran lights all over the counter and used branches that had to get cut off of the Christmas tree to get it into the stand. 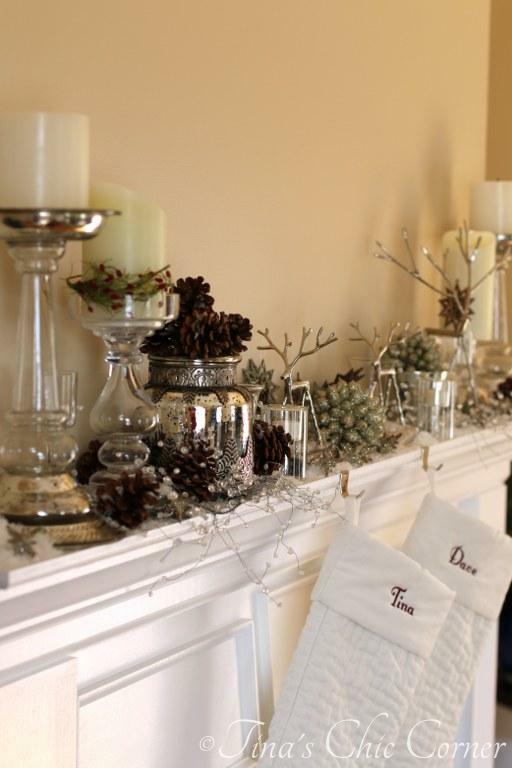 I decorated the mantel with a winter-y touch, using mercury glass, pine cones, glitter and candles. Sort of a silver and brown and white explosion of winter wonderlandiness. 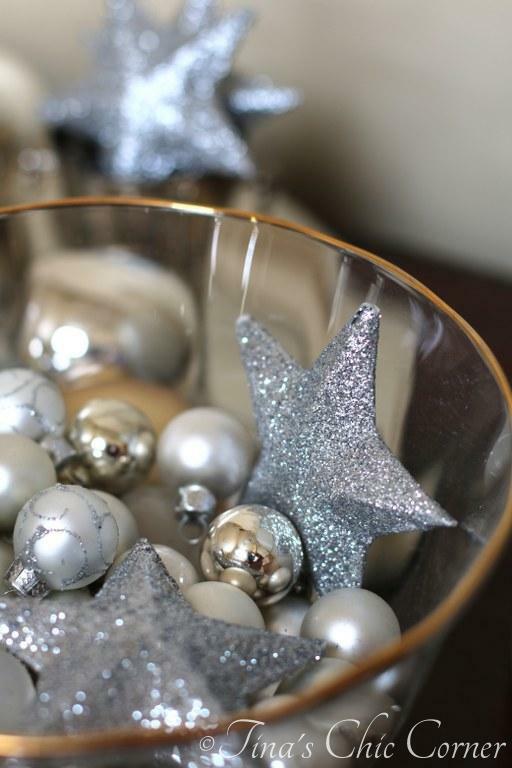 There can never be enough glitter. Ever. From our home to yours, may this holiday season fill your homes with love, peace, and joy!! 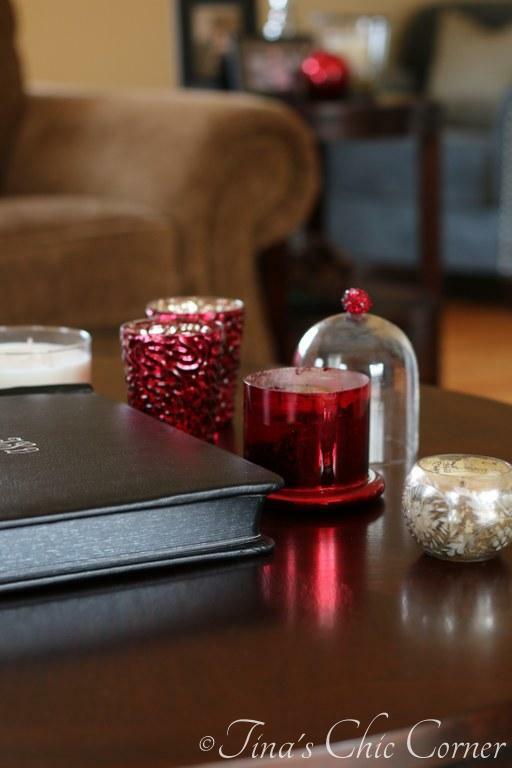 Tina, you decorate with real class and elegance. I wish you and your husband the very best in 2015. You are so sweet! Merry Christmas to you and your family! That’s so kind of you to say. 🙂 I hope you had the most perfect holidays!! Tina your house is gorgeous!! 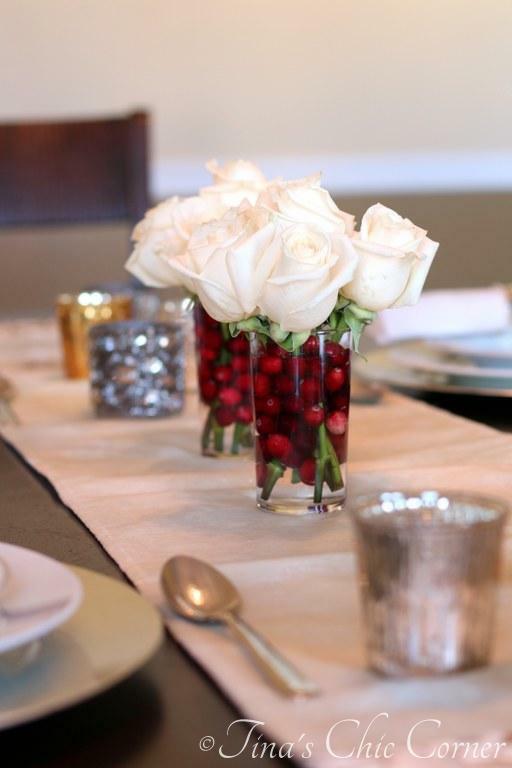 I love love LOVE those centerpieces too. I’m glad someone else agrees there can never be too much glitter 😉 Hope you had a great Christmas! It sounds like a very wonderful christmas season at your house! I love all your decorations! Especially those pops of the red mixed in with the whites! Hope you had a great holiday! Thanks Kelly! Happy new year! !